a mentor? What should you discuss at your initial meeting with a potential mentor? and how well do they match yours? contract with you to set goals and monitor progress? develop? How can you broach these subjects with your prospective mentor? mentorship team who could address the gaps? Can you speak to this person’s other/previous mentees? models of care to reduce delirium on inpatient surgical patients. A former resident, Dr.
hospitalized older patients with fractured hips. And, as part of the thesis process, Dr.
Smith subsequently wrote a summary of the proposal and sent it to you to review. and he appeared overwhelmed by his clinical and course requirements. over-committed time, focus on time management and organization. cons of doing that at this point in time? Can you establish regular meetings and set achievable goals for each of them? meet his (and your) goals? relationship to attempt to avoid this? Establishing and agreeing on expectations for mentor and mentee. Establishing an individual development plan/contract.Scheduling regular meetings with goals. Scheduling regular meetings with goals. package to facilitate your research program. grant, and discussed it with him in a subsequent meeting. making it the focus of your own operating grant application. upfront by mentor and mentee. Could meet with the vice chair alone to express concerns. both the mentor and mentee. 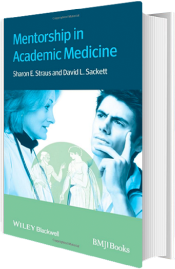 includes 500 members including researchers, clinicians, educators and administrators. filling in on teaching rounds or leading new administrative initiatives.